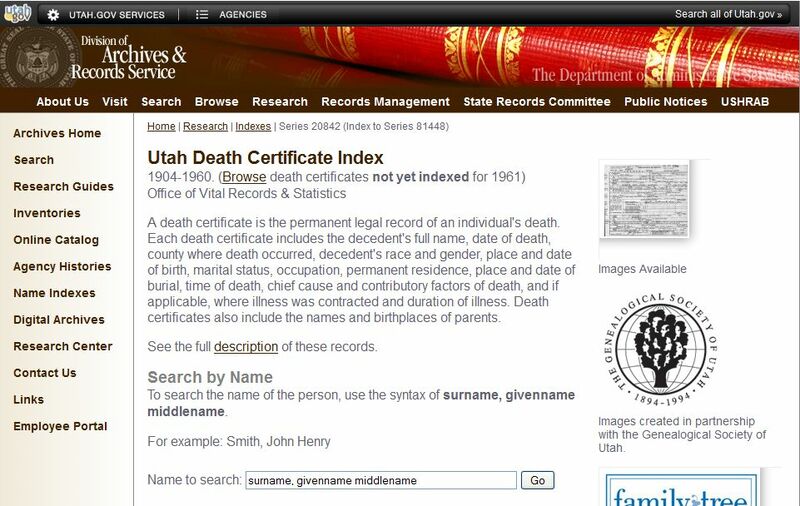 For some years now the State of Utah has had the death certificates for the years 1904-1960 online. 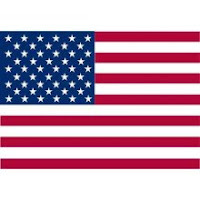 A free database, I have used it many times to find the death certificates of my family. It has always been very convenient for researches to be able to download those documents instead of waiting for the mail to find you. 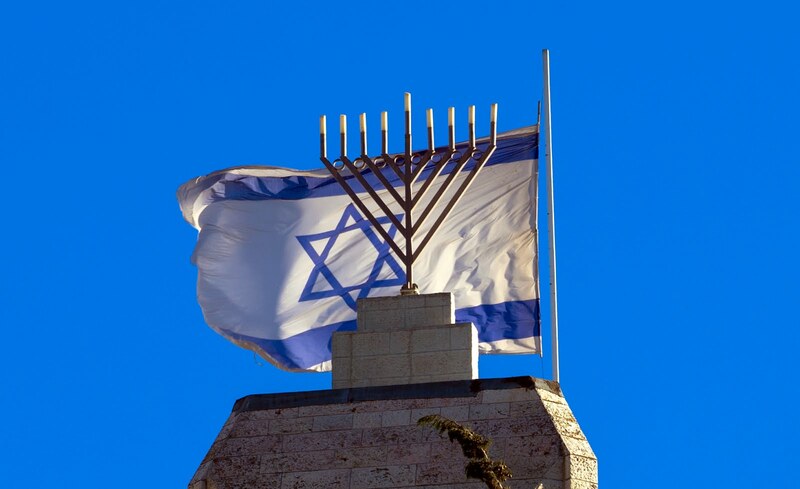 That website archive.utah.gov, is very easy to access and a great resource for those with Jewish families in Utah. 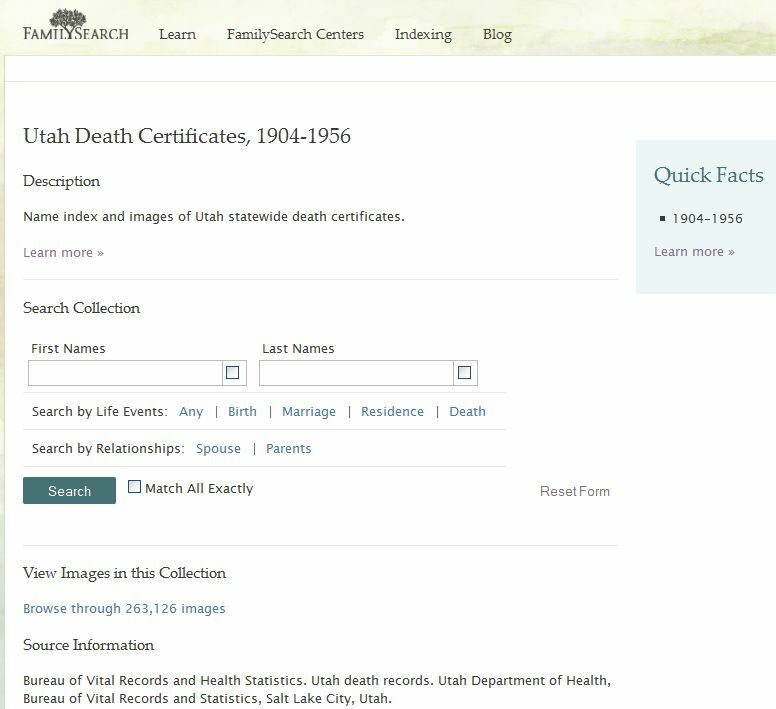 In addition, the certificates for the years up to 1956 are now available at www.familysearch.org. The certificates themselves are very high quality and a wonderful resource. The certificate below for Gussie Block wife of Louis L. Block. 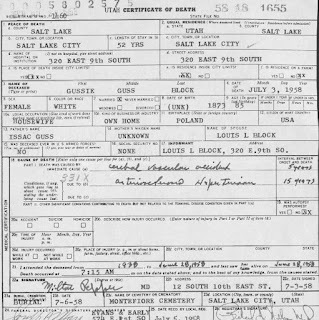 One of the things I really enjoy about the certificates from this time frame is the fact that the Doctor of record is Milton Pepper, a prominent member of the Utah Jewish community. I have always felt I would love a certificate signed by "Dr. Pepper". 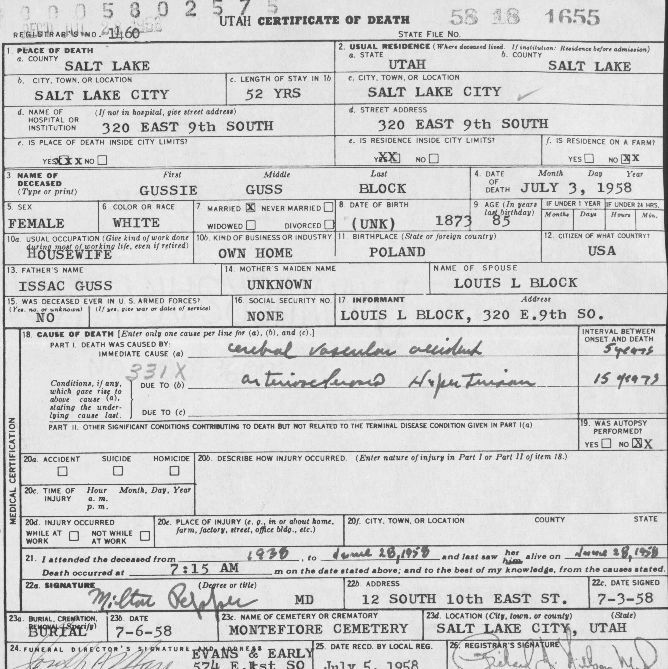 This is very old format of death certificate of Utah State. 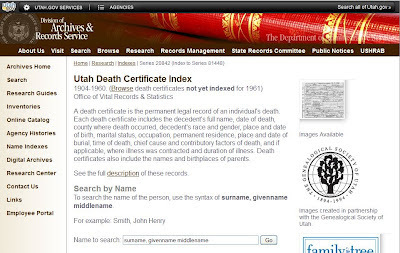 Please can you share latest death certificates because I want to use in death records. 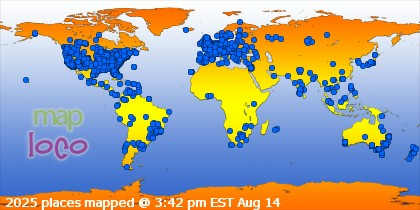 These are the ones that are available, the newer format is not available at this time. 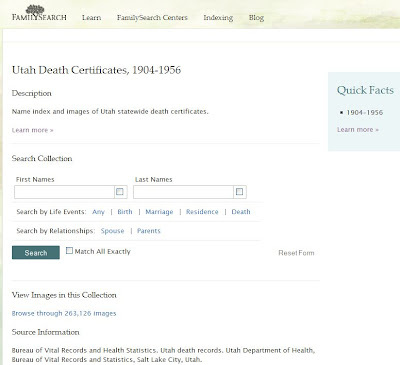 I am glad that you were able to find some of your ancestor's certificates by looking through the Utah collections. I have been looking through these records as well. So far I have found two certificates, but I hope to find some more in the coming weeks.